Driving under the influence (DUI), commonly known in Massachusetts as operating under the influence (OUI), is considered a serious crime. If convicted of a DUI in Massachusetts, you will face sanctions by the Massachusetts court system and the Registry of Motor vehicles. Likely penalties include suspension of driving privileges, monetary fines, and potentially jail time. If you have been stopped for driving while intoxicated, you should familiarize yourself with Massachusetts DUI Laws. 0.08% for any drivers at least 21 years old and operating a standard passenger vehicle. 0.04% for any driver operating a commercial vehicle. 0.02% for any driver under 21 years of age. 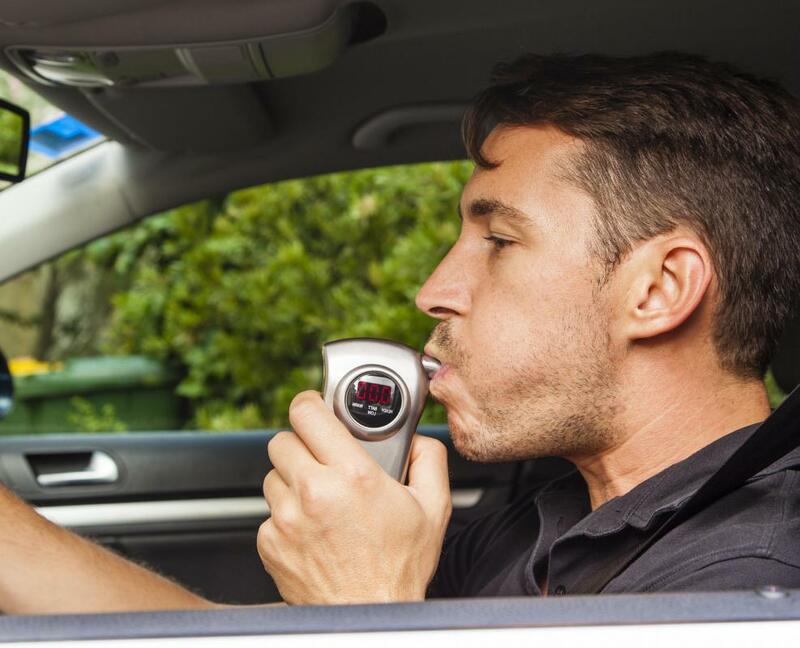 If you get pulled over, under Massachusetts DUI laws, all drivers are required to submit to a chemical test to determine whether they are driving under the influence. A driver can refuse to submit to a chemical test upon request by an officer when stopped for suspicion of driving under the influence. However, refusal leads to even longer suspension for a driver than would be imposed if the driver simply failed the test. Massachusetts DUI Laws indicate drivers over the age of 21 will automatically face license suspension for 180 days (first offense), three years (second offense), five years (third offense), or for life (fourth or greater offense). For drivers under the age of 21, refusal to submit to the testing results in a loss of license for three years (first and second offense), five years (third offense), or lifetime suspension (fourth or greater offense). Massachusetts DUI Laws make no provision prohibiting or allowing a plea bargain for “wet reckless”. Therefore, an experienced DUI law attorney may be able to negotiate for a wet reckless or lesser charge rather than a conviction for DUI. Keep in mind, plea bargains of this variety are typically frowned upon by prosecutors. This is due to public pressure to take a harsh stance on operating a vehicle while intoxicated. The chances of successfully pleading down to a lesser charge decrease with each additional conviction that is on your record. This type of plea bargain is almost impossible to obtain if anyone or was injured while you were operating under the influence. Penalties under Massachusetts DUI Laws include the possibility of all of the following: suspension of driving privileges, hefty fines, jail time, ignition interlock devices, vehicle registration revocation, motor vehicle forfeiture, and required alcohol educational training programs for drivers under the age of 21. If you are convicted of a first offense for DUI, under Massachusetts DUI Laws, you can face a license suspension of one year (with drivers under 21 years of age facing an additional 180 day suspension or an additional year suspension for drivers under 18), fines ranging from $500 to $5000, the potential of a jail sentence up to two and one-half years, and alcohol education training. A conviction of a second offense for DUI under Massachusetts DUI Laws can lead to additional suspension of driver’s license for up to two years. Additionally, you will have to pay a license reinstatement assessment that can range from $50 to $1200. You will also be required to install an ignition interlock device on your primary vehicle. A second conviction may also lead to jail time ranging from 60 days to 2 ½ years. Nonetheless, the judge may reduce the sentence to a minimum of 30 days. Drivers under 21 convicted of a second DUI will also be required to complete an alcohol education training. Massachusetts DUI laws indicate a third conviction for DUI is treated as a felony conviction. It results in the loss of a driver’s license for eight years. Additionally, those convicted of a third DUI face fines of between $1000 and $5000. This is in addition to possible jail time ranging from 180 days to 2 ½ years. In the case where a prison sentence is given, between 2 ½ and 5 years, it can be reduced to 150 days. Vehicle registration may also be revoked and an ignition interlock device must be installed on your primary vehicle. Additionally, upon completion of the license suspension, you will have to pay a license reinstatement assessment. This can range from $50 to $1200. A fourth conviction for DUI under Massachusetts DUI Laws will result in the suspension of your driver’s license for 10 years, a fine between $1000 and $25,000, potential jail time ranging from 180 days to 2 ½ years. In the case where a prison sentence is given, between 2 ½ and 5 years, it can be reduced to twelve months. Vehicle registration and vehicle forfeiture may also be imposed; the installation of an ignition interlock device is required. Additionally, upon completion of the license suspension, you will have to pay a license reinstatement assessment. It can range from $50 to $1200. A conviction for DUI in this state does carry significant risks and penalties. However, if you are familiar with Massachusetts DUI laws, you can navigate the system more efficiently. Make sure to be aware of any previous convictions. Work with an experienced attorney to reduce the potential penalties associated with a DUI. Nonetheless, the safest way to avoid all penalties is to obey the laws of the state you are driving through. Hey Buddy!, I found this information for you: "Massachusetts DUI Laws – An Updated Rundown". Here is the website link: https://www.duiauthority.com/massachusetts-dui-laws/. Thank you.